Two little books surfaced today. They don’t have tons of fluffy text, they simply have knitted patterns for baby blankets. I was really ready to move these to the “out-the-door” with other thumbs down books. Sadly I did find a few patterns that made me change my mind. Here are a few stats on the books. 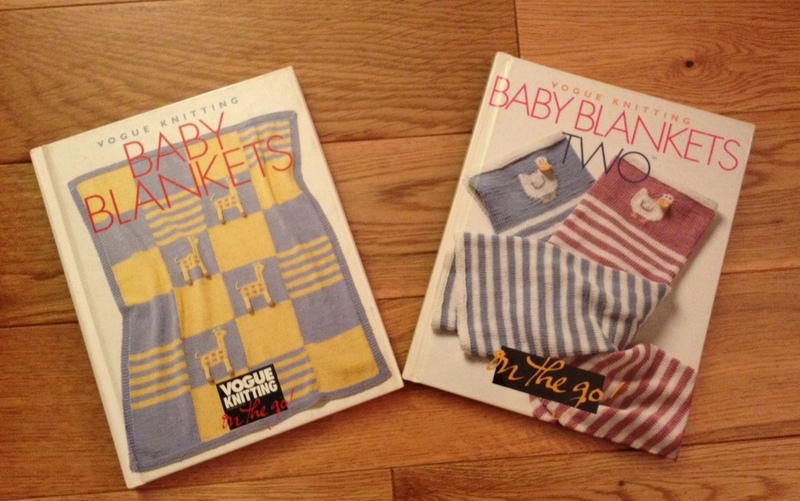 The first Baby Blankets was published (Sixth & Spring) in 2000 as part of the On the Go series. 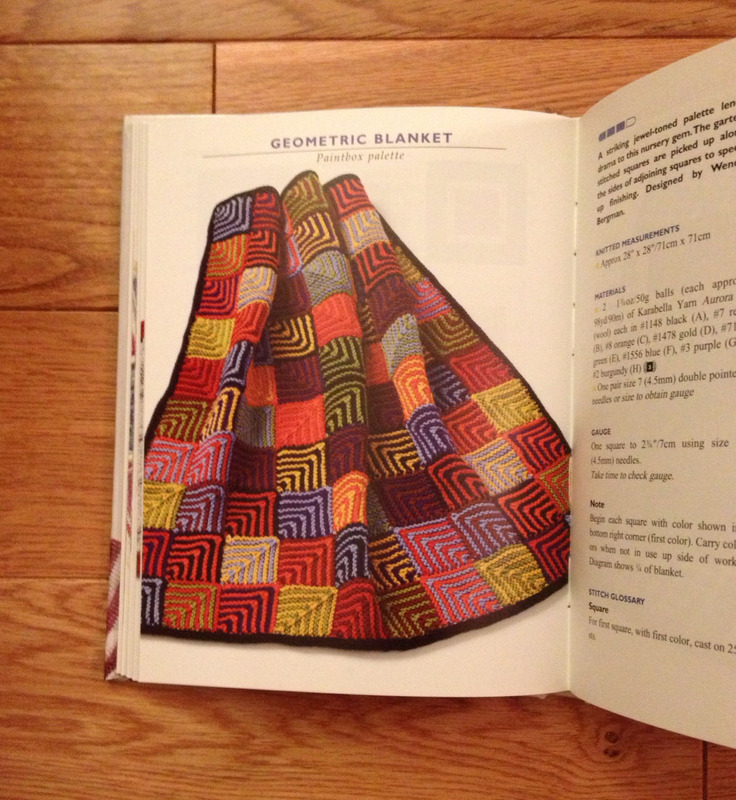 The second, Baby Blankets Two (2004). 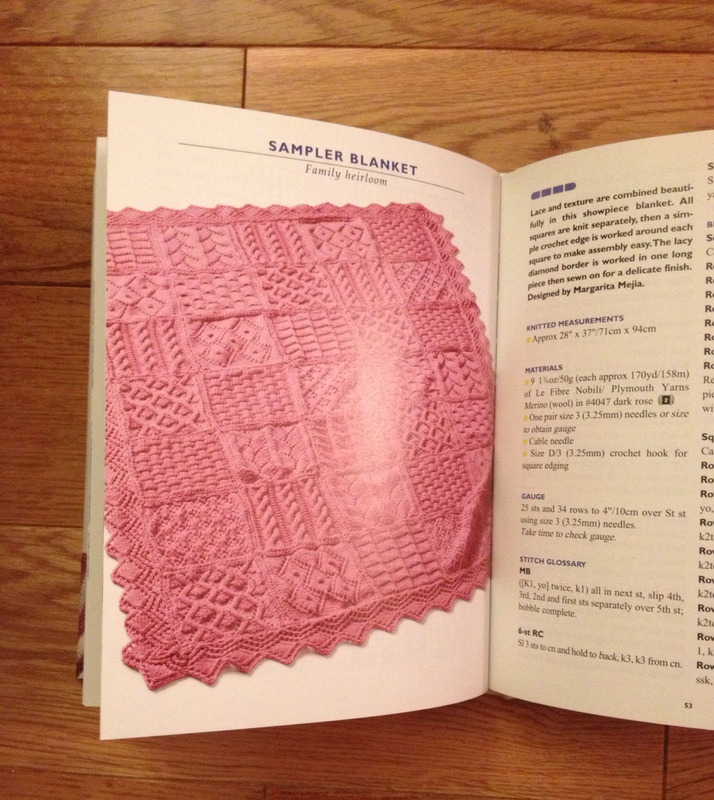 Both have several pages of Basics which would be helpful to those without too much experience. 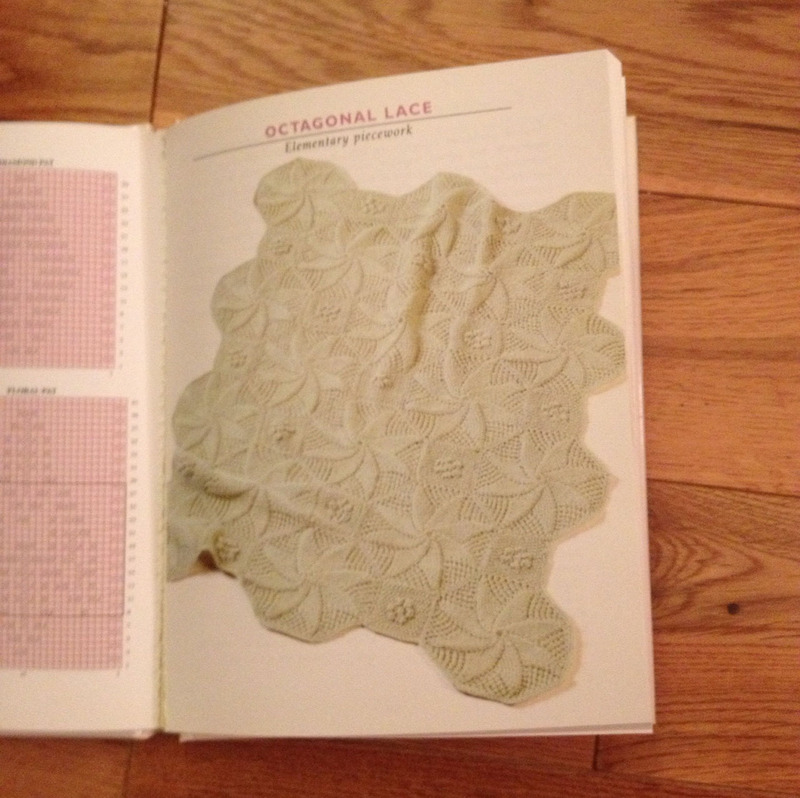 Both have 24 patterns – kind of amazing in such little books. The photograph is good with simple still life views – not a baby in sight. Here are a few of the ones that made me reconsider dumping these two. Sadly they aren’t the best photos. You can see that I’m in love with sampler styles and counterpane pieces. I also do love miters although, I’m not nuts of the colors used for the one shown. Here are links to the books on Amazon. While not available as new, can still be purchased.